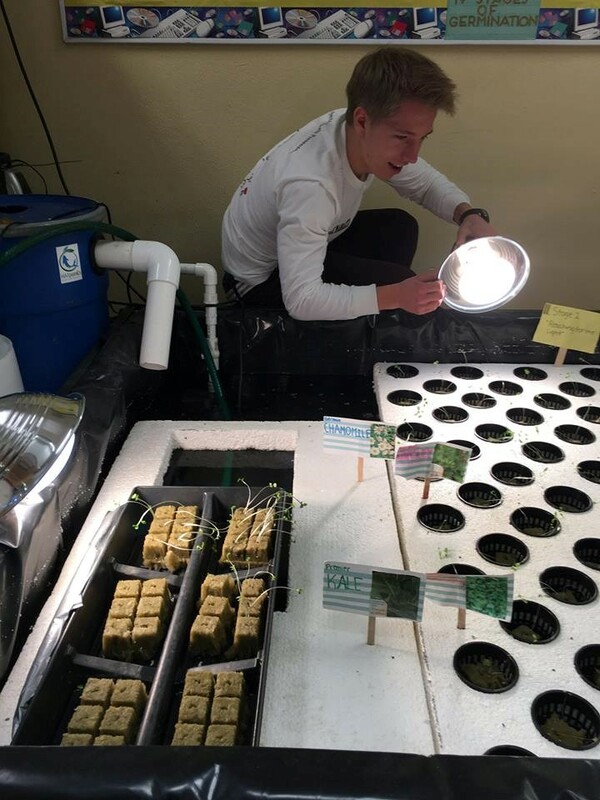 Neither Nick Pibl nor Caroline McClatchy were part of the Aquaponics research group during their Summer 2014 semester, but both had an interest in sustainable technology. When they returned home, they thought long and hard about how to apply that interest in a productive manner at their school, Princeton High School. Recalling the tank just outside the dining hall on the Island School campus that had fish and mint growing in it inspired them to bring aquaponics to their high school. They “realized that aquaponics is a realistic way for people to implement greener and more sustainable food sources.” When looking around for how to get their project off the ground, the pair discovered HATponics, a company that had previously worked with a local middle school and had developed aquaponics systems all over Georgia and Tennessee. Once Nick and Caroline made the initial connection with HATponics, they struck an agreement where HATponics would build the aquaponics system under the specifications and parameters laid out by Nick and Caroline. Since space was an issue at the high school, the equipment was installed at John Witherspoon Middle School (JW). Eventually high school students will work together with middle schoolers currently taking a new food science class at the middle school. 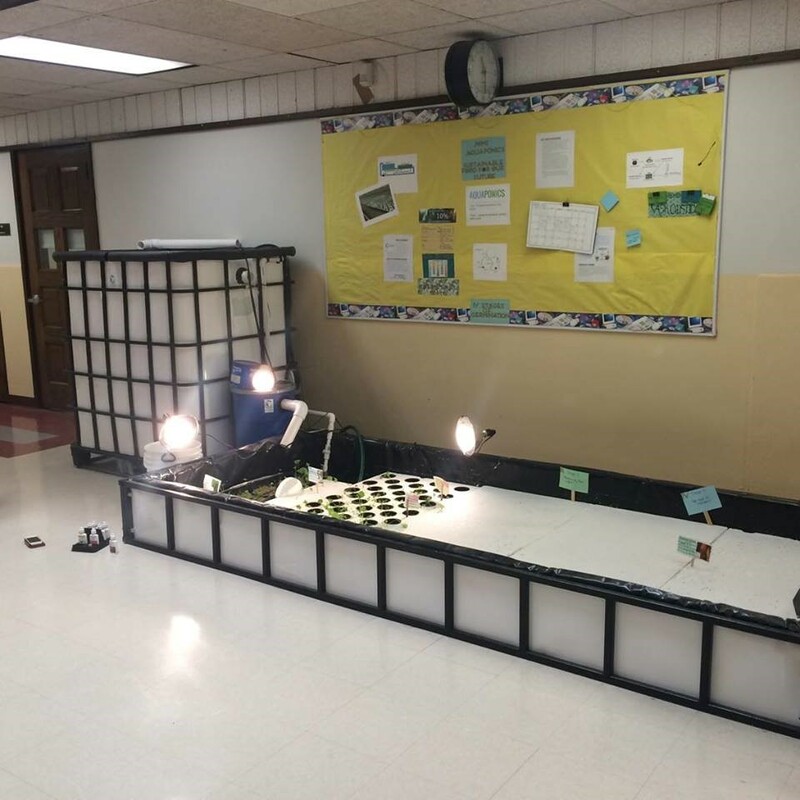 Both Caroline and Nick have referenced their aquaponics work in a class that they are currently taking at Princeton which has allowed them to demonstrate that school learning does not necessarily have to always be based out of a textbook. 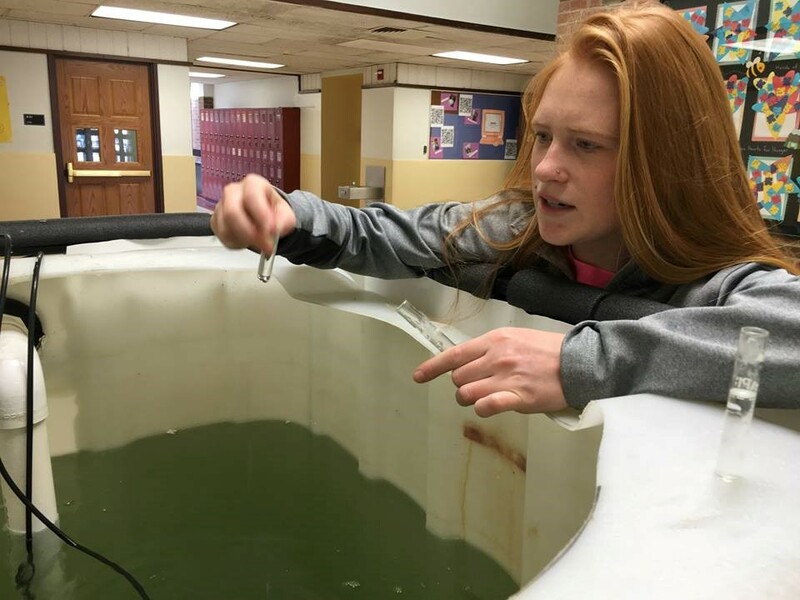 Currently, HATponics has stocked the aquaponics tank at the middle school with White Nile Tilapia and has provided organic fish food to feed them. Caroline and Nick are growing kale, arugula, parsley and chamomile in the grow beds. 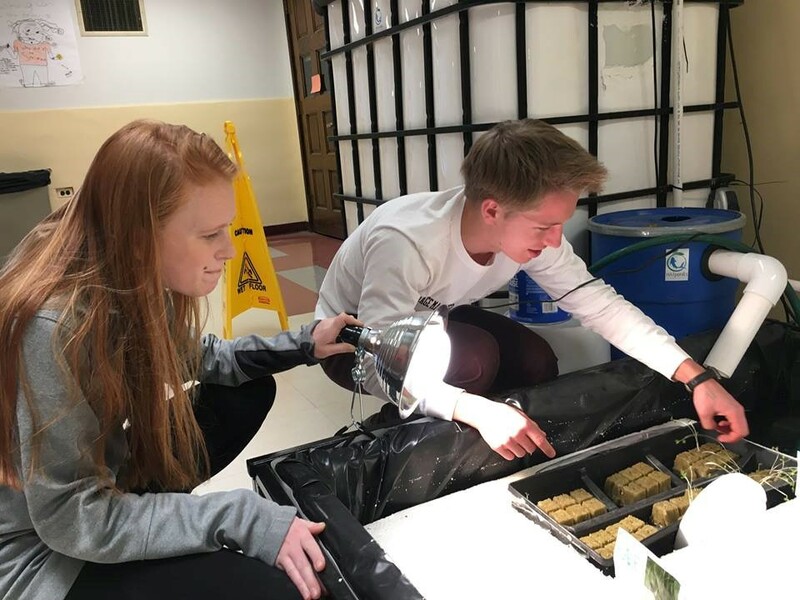 Both Nick and Caroline are seniors at Princeton High School and the environmental wet lab they have created will be passed on next year to two incoming sophomores which will allow the school to build on their predecessors’ knowledge as the research is continued into the future. Nick and Caroline, congratulations to you on founding a new initiative in your school! Everyone at The Island School is looking forward to hearing what you do next! Previous PostWelcome directors!Next PostWe did it!